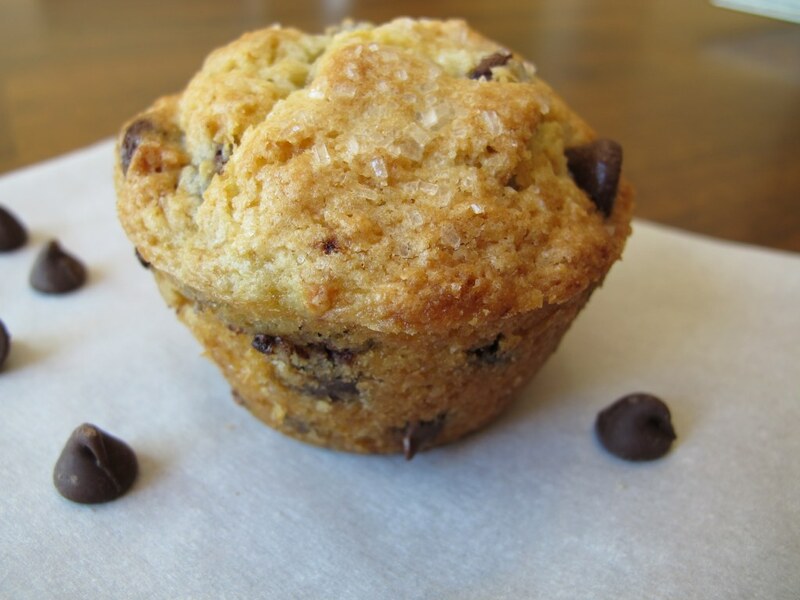 A chocolate chip muffin is one of my favorite baked goodies on earth. I rarely eat them anymore because I always seem to be on a diet, but every now and then I’ll splurge. Funny thing is that lately I find that many coffee shops or bakeries make their chocolate chip muffins too greasy or heavy. 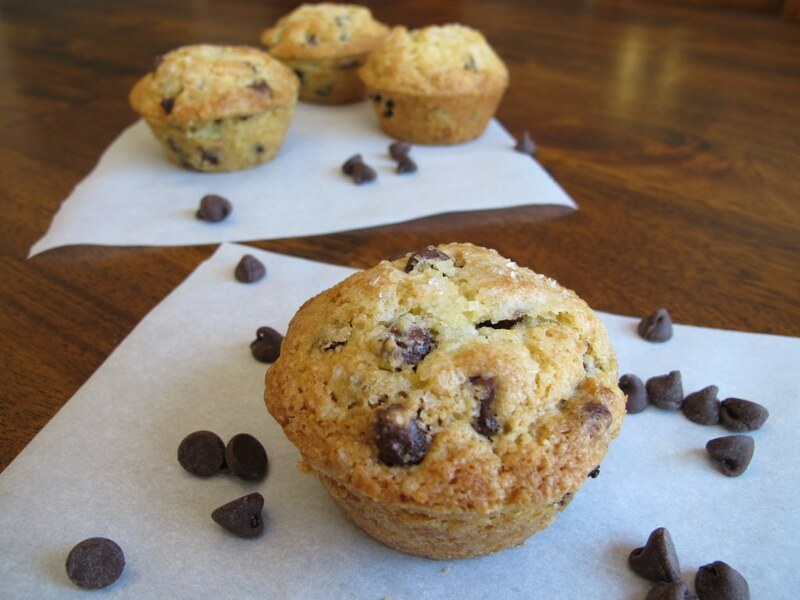 Part of what I love about muffins is the base muffin itself, which is why I made these wonderful bakery like chocolate chip muffins…only better! 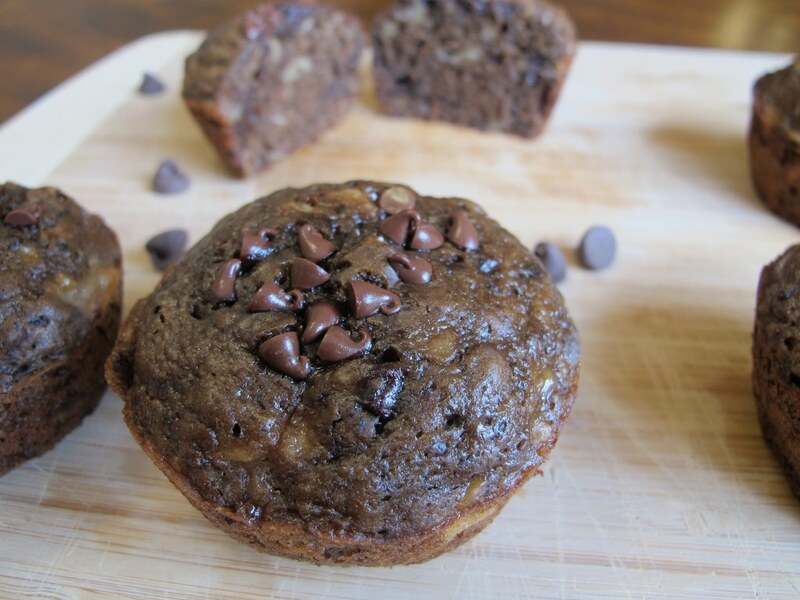 I’m in love with these high domed chocolate chip muffins! Every bite is simply scrumptious. 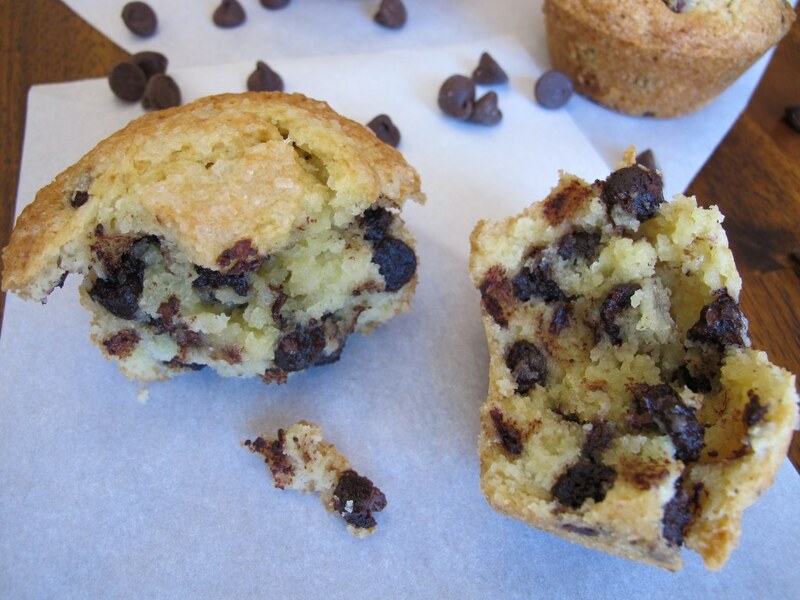 Crunchy top…buttery and moist muffin base…filled with sweet chocolate. What more could I ask for? 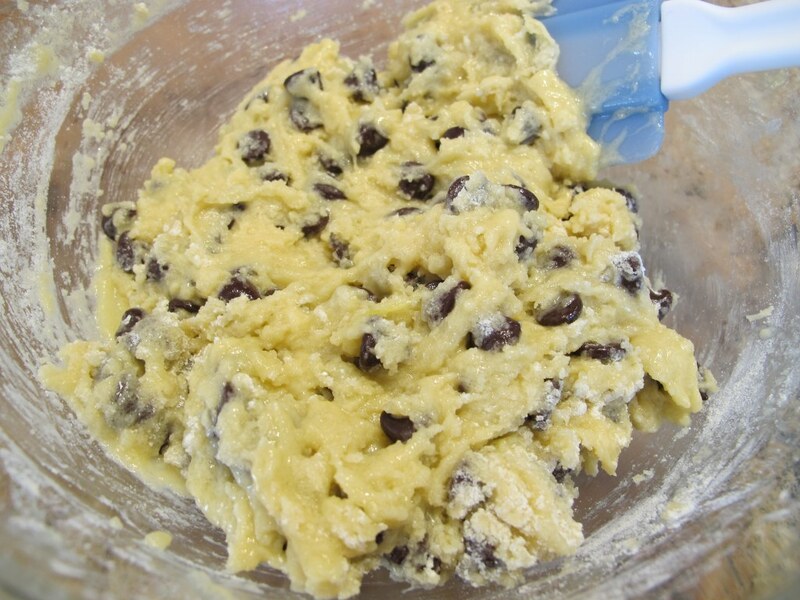 In a large bowl, whisk together the flour, sugar, salt, baking powder, and chocolate chips. Set the dry ingredients aside. In a medium bowl, mix together the oil, egg, milk, and vanilla extract. Add the wet ingredients into the dry ingredients with a spatula or wooden spoon and stir just until the dry ingredients are moist. Sprinkle the tops of the muffins with the sparkling sugar. Bake the muffins in the preheated oven for 5 minutes. Reduce the oven temperature to 375 degrees F and bake them for 18 additional minutes or until a tester inserted in the center comes out clean. 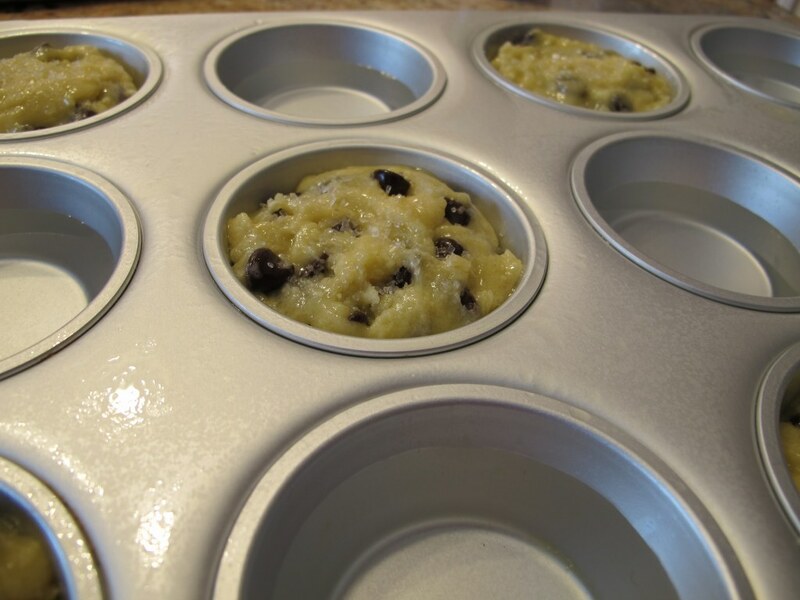 Let the muffins rest in the baking pan for about 5 minutes and then remove them to a wire rack to cool. Store the muffins in an air tight container on the counter or wrap them up individually in plastic wrap, place them in a freezer friendly bag, and freeze them. Muffins are so quick and easy to make. Mix and then bake. No need to hit that bakery or buy a box mix when it’s this simple. Don’t forget, do not over mix the batter otherwise you may end up with tough muffins. I actually mixed the chocolate chips with the dry ingredients first so I wouldn’t have to risk over mixing by adding them at the end. 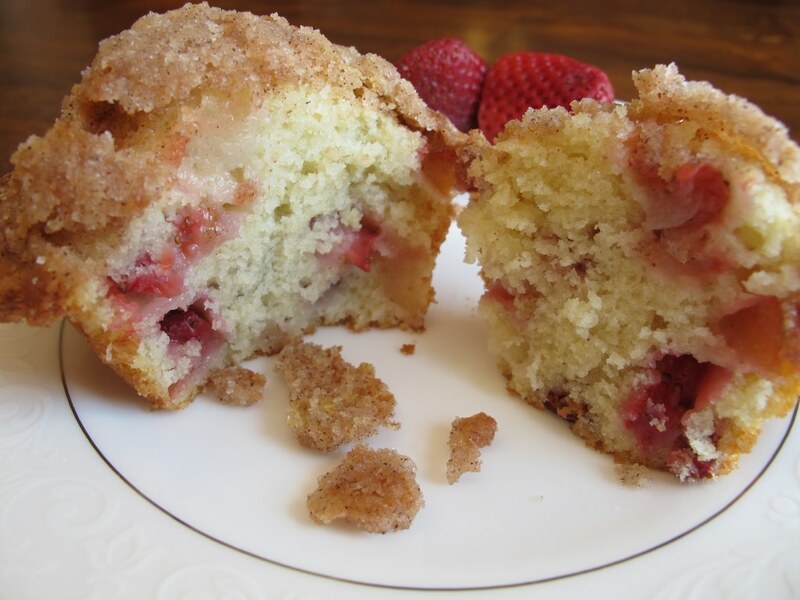 I used the same muffin base recipe that I used for my Strawberry Muffins With Crumb Topping. That muffin base is so awesome that I just had to use it again! It’s so buttery and moist it’s borderline ridiculous. Plus it’s so light and fluffy, not like some of the ones sold in stores. The sparkling sugar is a wonderful ingredient that can be found at most craft stores. I bake a lot but I had never heard of it until recently. Typically I like to use everyday ingredients because it tends to keep my cooking hobby inexpensive. However, I also like to try new things. I found Wilton’s White Sparkling Sugar at my local craft store and it is inexpensive so I decided to try it. I am so happy I tried it because the sparkling sugar gives these muffins a wonderful crunchy texture and it makes them look pretty. (And it’s available in about a zillion colors!) I know I’ll have other uses for this fun food decor. While I hope I inspire others to try new things, like I did, it’s not a key ingredient here so feel free to omit it from this recipe. I used a different technique to bake these muffins as opposed to how I baked the strawberry muffins in order to get that bakery-like high dome affect. I filled the muffin cups to the top of the muffin tin (instead of the usual 2/3 full). I baked them in two stages. First, I baked them at 425 degrees F for 5 minutes . Then I lowered the temperature to 375 degrees F and baked them for an additional 18 minutes. The initial high temperature allows for steam to be released quickly and thus lift the top of the muffin high. The temperature is then reduced in order for them to bake evenly. Otherwise, if you left them at the initial high temperature the whole baking time you will end up with a hard crust and raw center. Look at all that chocolaty goodness! My husband says it’s a tad too sweet for him, but not for me. What can I say, I have a bit of a sweet tooth. 😉 By all means feel free to reduce the amount of chocolate chips to your taste. Love muffins? Here are some others you may enjoy. Note: Not a paid advertisement for Wilton. I’m just sharing my opinion. 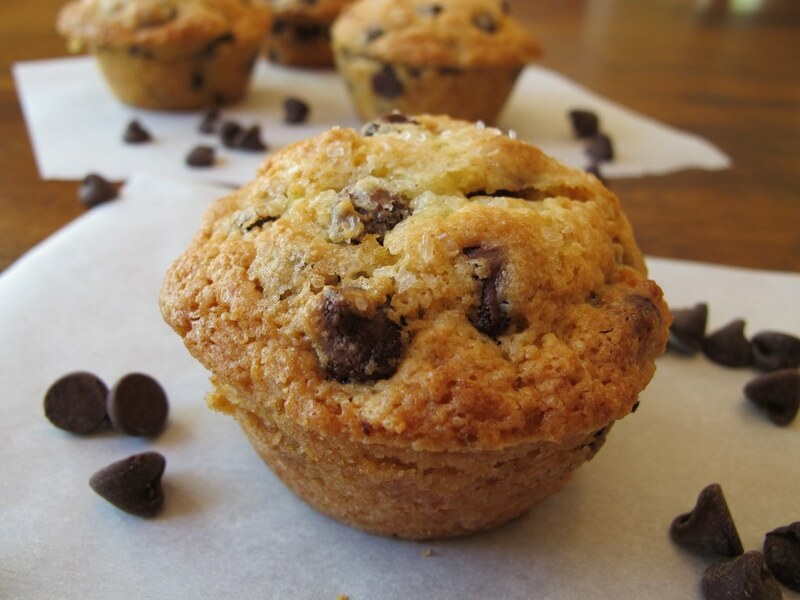 Chocolate chip muffins are one of my favorite things ever! I love that you used the trick of starting at a higher temperature, then reducing to a lower temperature. I also liked the tip about mixing the chocolate chips into the dry ingredients so the batter isn’t overmixed. I would have never thought of that! I love muffins. I love chocolate chips. This is a pure winner in my eyes. Thanks for the great share. Sounds fantastic! 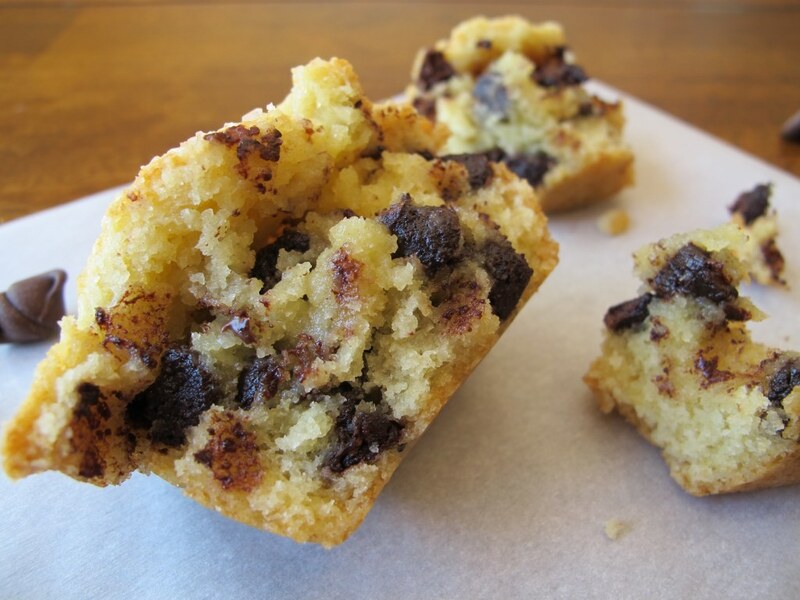 It is like the muffin form of a chocolate chip cookie! Chocolate for breakfast? These would make me happy! We are in a muffin state of mind lately in my house. They are easy to make, and great for on the go breakfasts. This one will definitely be on the list to make! The tip to mix the chips into the flour is great too! I do that with raisins when I make cookies, why I didn’t think to do it for the chips, I have no idea lol. Glad to meet a fellow muffin-lover. 🙂 I love freezing them and grabbing one on my way to work. I enjoy reading other bloggers tips because sometimes I get into my own routine of things and my fellow bloggers are great to help me think outside of my little world. Let me know if you end up making these. I appreciate you stopping by! OMG just found this recipe and just pulled my muffins out of the oven, they are perfect!! Genius 🙂 the idea of baking them at the preheated setting first then decreasing heat made my muffins rise so high! These will be my new favorite treats to bake! 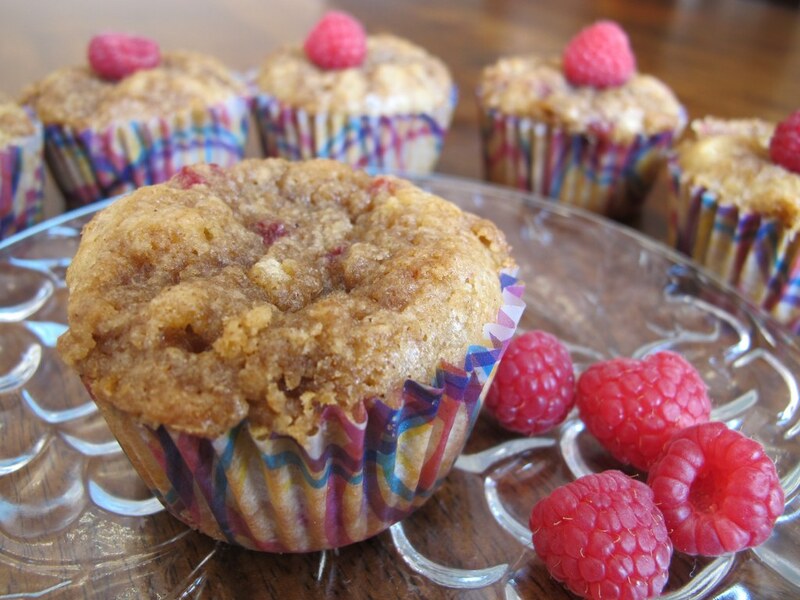 I’m sorry for posting a comment to an older entry but I had a question – when you fill the empty cups with water, how do you turn out the finished muffins without getting them wet?